Apples of Gold's modern morganite halo ring is a great twist on a classic. 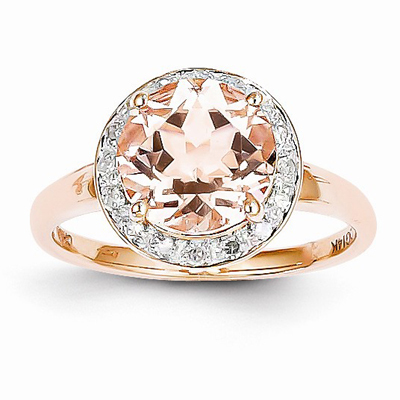 Set in 14k rose gold a 9mm light pink morganite is surrounded by 22 sparkling white diamonds. We guarantee our 14K Rose Gold Diamond Halo and Morganite Ring to be high quality, authentic jewelry, as described above.